FairWinds Antique Maps - Item # RS2273: Civitas S. Dominici in Hispaniola. Civitas S. Dominici in Hispaniola. 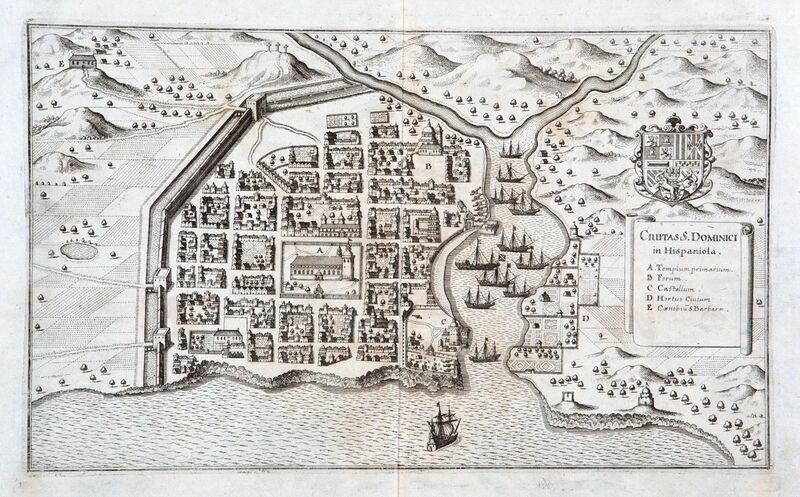 One of the earliest printed views of the walled city of Santo Domingo and its surrounding countryside, with a dozen ships on or approaching the Ozama river. A coat-of-arms surmounts the title cartouche, which includes a key to the city's chief sites. Size: 13" x 8 3/4"